"Explosive" and "Explosives" redirect here. For the English psych band, see The Explosive. For the American band The Explosives, see Roky Erickson. Demonstration of the explosive properties of three different explosives. 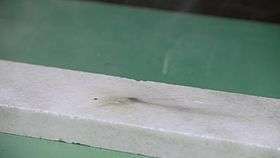 An explosive is set on a solid marble base and is initiated by glowing wooden stick. An explosive material, also called an explosive, is a reactive substance that contains a great amount of potential energy that can produce an explosion if released suddenly, usually accompanied by the production of light, heat, sound, and pressure. An explosive charge is a measured quantity of explosive material, which may be composed of a single ingredient or a combination of two or more. Explosive materials may be categorized by the speed at which they expand. Materials that detonate (the front of the chemical reaction moves faster through the material than the speed of sound) are said to be "high explosives" and materials that deflagrate are said to be "low explosives". Explosives may also be categorized by their sensitivity. Sensitive materials that can be initiated by a relatively small amount of heat or pressure are primary explosives and materials that are relatively insensitive are secondary or tertiary explosives. A wide variety of chemicals can explode; a smaller number are manufactured specifically for the purpose of being used as explosives. The remainder are too dangerous, sensitive, toxic, expensive, unstable, or prone to decomposition or degradation over short time spans. In contrast, some materials are merely combustible or flammable if they burn without exploding. The distinction, however, is not razor-sharp. Certain materials—dusts, powders, gasses, or volatile organic liquids—may be simply combustible or flammable under ordinary conditions, but become explosive in specific situations or forms, such as dispersed airborne clouds, or confinement or sudden release. Though early thermal weapons, such as Greek fire, have existed since ancient times, the first widely used explosive in warfare and mining was black powder, invented in 9th century China. This material was sensitive to water, and it produced dark smoke. The first useful explosive stronger than black powder was nitroglycerin, developed in 1847. Since nitroglycerin is a liquid and highly unstable, it was replaced by nitrocellulose, TNT in 1863, smokeless powder, dynamite in 1867 and gelignite (the latter two invented by Alfred Nobel). World War I saw the adoption of TNT trinitrotoluene in artillery shells. World War II saw an extensive use of new explosives (see explosives used during World War II). In turn, these have largely been replaced by more powerful explosives such as C-4 and PETN. However, C-4 and PETN react with metal and catch fire easily, yet unlike TNT, C-4 and PETN are waterproof and malleable. In 2007 the Canadian inventor Daren Swanson innovated explosives mechanics by patenting a detonation rationale that is based on the supersonic reduction of carbon dioxide to carbon. Dry ice, which is frozen carbon dioxide with a temperature of -78.5 degrees Celsius, can be safely combined with powdered reducing agents such as magnesium, aluminum, and boron to create a powerful explosive. The field of this type of explosive has been named Cold Detonation Physics (CDP) by the inventor. On July 5, 2015 the Canadian government measured the velocity in two tests and confirmed the claim that dry ice/reducing agent mixtures detonate at supersonic speed. A video describing how to safely handle explosives in mines. The largest commercial application of explosives is mining. Whether the mine is on the surface or is buried underground, the detonation or deflagration of either a high or low explosive in a confined space can be used to liberate a fairly specific sub-volume of a brittle material in a much larger volume of the same or similar material. The mining industry tends to use nitrate-based explosives such as emulsions of fuel oil and ammonium nitrate solutions, mixtures of ammonium nitrate prills (fertilizer pellets) and fuel oil (ANFO) and gelatinous suspensions or slurries of ammonium nitrate and combustible fuels. In Materials Science and Engineering, explosives are used in cladding. A thin plate of some material is placed atop a thick layer of a different material, both layers typically of metal. Atop the thin layer is placed an explosive. At one end of the layer of explosive, the explosion is initiated. The two metallic layers are forced together at high speed and with great force. The explosion spreads from the initiation site throughout the explosive. Ideally, this produces a metallurgical bond between the two layers. As the length of time the shock wave spends at any point is small, we can see mixing of the two metals and their surface chemistries, through some fraction of the depth, and they tend to be mixed in some way. It is possible that some fraction of the surface material from either layer eventually gets ejected when the end of material is reached. Hence, the mass of the now "welded" bilayer, may be less than the sum of the masses of the two initial layers. There are applications where a shock wave, and electrostatics, can result in high velocity projectiles. The international pictogram for explosive substances. An explosion is a type of spontaneous chemical reaction that, once initiated, is driven by both a large exothermic change (great release of heat) and a large positive entropy change (great quantities of gases are released) in going from reactants to products, thereby constituting a thermodynamically favorable process in addition to one that propagates very rapidly. Thus, explosives are substances that contain a large amount of energy stored in chemical bonds. The energetic stability of the gaseous products and hence their generation comes from the formation of strongly bonded species like carbon monoxide, carbon dioxide, and (di)nitrogen, which contain strong double and triple bonds having bond strengths of nearly 1 MJ/mole. Consequently, most commercial explosives are organic compounds containing -NO2, -ONO2 and -NHNO2 groups that, when detonated, release gases like the aforementioned (e.g., nitroglycerin, TNT, HMX, PETN, nitrocellulose). An explosive is classified as a low or high explosive according to its rate of burn: low explosives burn rapidly (or deflagrate), while high explosives detonate. While these definitions are distinct, the problem of precisely measuring rapid decomposition makes practical classification of explosives difficult. Traditional explosives mechanics is based on the shock-sensitive rapid oxidation of carbon and hydrogen to carbon dioxide, carbon monoxide and water in the form of steam. Nitrates typically provide the required oxygen to burn the carbon and hydrogen fuel. High explosives tend to have the oxygen, carbon and hydrogen contained in one organic molecule, and less sensitive explosives like ANFO are combinations of fuel (carbon and hydrogen fuel oil) and ammonium nitrate. A sensitizer such as powdered aluminum may be added to an explosive to increase the energy of the detonation. Once detonated, the nitrogen portion of the explosive formulation emerges as nitrogen gas and toxic nitric oxides. The chemical decomposition of an explosive may take years, days, hours, or a fraction of a second. The slower processes of decomposition take place in storage and are of interest only from a stability standpoint. Of more interest are the two rapid forms of decomposition, deflagration and detonation. In deflagration, decomposition of the explosive material is propagated by a flame front which moves slowly through the explosive material at speeds less than the speed of sound (340 m/s) in contrast to detonation, which occurs at speeds greater than the speed of sound. Deflagration is a characteristic of low explosive material. This term is used to describe an explosive phenomenon whereby the decomposition is propagated by an explosive shock wave traversing the explosive material at speeds greater than the speed of sound (340 m/s). The shock front is capable of passing through the high explosive material at supersonic speeds, typically thousands of metres per second. In addition to chemical explosives, there are a number of more exotic explosive materials, and exotic methods of causing explosions. Examples include nuclear explosives, and abruptly heating a substance to a plasma state with a high-intensity laser or electric arc. Laser- and arc-heating are used in laser detonators, exploding-bridgewire detonators, and exploding foil initiators, where a shock wave and then detonation in conventional chemical explosive material is created by laser- or electric-arc heating. Laser and electric energy are not currently used in practice to generate most of the required energy, but only to initiate reactions. Impact — Sensitivity is expressed in terms of the distance through which a standard weight must be dropped onto the material to cause it to explode. Friction — Sensitivity is expressed in terms of what occurs when a weighted pendulum scrapes across the material (it may snap, crackle, ignite, and/or explode). Heat — Sensitivity is expressed in terms of the temperature at which flashing or explosion of the material occurs. Specific explosives (usually but not always highly sensitive on one or more of the three above axes) may be idiosyncratically sensitive to such factors as pressure drop, acceleration, the presence of sharp edges or rough surfaces, incompatible materials, or even—in rare cases—nuclear or electromagnetic radiation. These factors present special hazards that may rule out any practical utility. Sensitivity is an important consideration in selecting an explosive for a particular purpose. The explosive in an armor-piercing projectile must be relatively insensitive, or the shock of impact would cause it to detonate before it penetrated to the point desired. The explosive lenses around nuclear charges are also designed to be highly insensitive, to minimize the risk of accidental detonation. The index of the capacity of an explosive to be initiated into detonation in a sustained manner. It is defined by the power of the detonator which is certain to prime the explosive to a sustained and continuous detonation. Reference is made to the Sellier-Bellot scale that consists of a series of 10 detonators, from n. 1 to n. 10, each of which corresponds to an increasing charge weight. In practice, most of the explosives on the market today are sensitive to an n. 8 detonator, where the charge corresponds to 2 grams of mercury fulminate. The velocity with which the reaction process propagates in the mass of the explosive. Most commercial mining explosives have detonation velocities ranging from 1800 m/s to 8000 m/s. Today, velocity of detonation can be measured with accuracy. Together with density it is an important element influencing the yield of the energy transmitted for both atmospheric over-pressure and ground acceleration. By definition, a "low explosive," such as black powder, or smokeless gunpowder has a burn rate of 171–631 m/s. In contrast, a "high explosive," whether a primary, such as detonating cord, or a secondary, such as TNT or C-4 has a significantly higher burn rate. Stability is the ability of an explosive to be stored without deterioration. Chemical constitution. In the strictest technical sense, the word "stability" is a thermodynamic term referring to the energy of a substance relative to a reference state or to some other substance. However, in the context of explosives, stability commonly refers to ease of detonation, which is concerned with kinetics (i.e., rate of decomposition). It is perhaps best, then, to differentiate between the terms thermodynamically stable and kinetically stable by referring to the former as "inert." Contrarily, a kinetically unstable substance is said to be "labile." It is generally recognized that certain groups like nitro (–NO2), nitrate (–ONO2), and azide (–N3), are intrinsically labile. Kinetically, there exists a low activation barrier to the decomposition reaction. Consequently, these compounds exhibit high sensitivity to flame or mechanical shock. The chemical bonding in these compounds is characterized as predominantly covalent and thus they are not thermodynamically stabilized by a high ionic-lattice energy. Furthermore, they generally have positive enthalpies of formation and there is little mechanistic hindrance to internal molecular rearrangement to yield the more thermodynamically stable (more strongly bonded) decomposition products. For example, in lead azide, Pb(N3)2, the nitrogen atoms are already bonded to one another, so decomposition into Pb and N2 is relatively easy. Temperature of storage. The rate of decomposition of explosives increases at higher temperatures. All standard military explosives may be considered to have a high degree of stability at temperatures from –10 to +35 °C, but each has a high temperature at which its rate of decomposition rapidly accelerates and stability is reduced. As a rule of thumb, most explosives become dangerously unstable at temperatures above 70 °C. Exposure to sunlight. When exposed to the ultraviolet rays of sunlight, many explosive compounds containing nitrogen groups rapidly decompose, affecting their stability. Electrical discharge. Electrostatic or spark sensitivity to initiation is common in a number of explosives. Static or other electrical discharge may be sufficient to cause a reaction, even detonation, under some circumstances. As a result, safe handling of explosives and pyrotechnics usually requires proper electrical grounding of the operator. The term power or performance as applied to an explosive refers to its ability to do work. In practice it is defined as the explosive's ability to accomplish what is intended in the way of energy delivery (i.e., fragment projection, air blast, high-velocity jet, underwater shock and bubble energy, etc.). Explosive power or performance is evaluated by a tailored series of tests to assess the material for its intended use. Of the tests listed below, cylinder expansion and air-blast tests are common to most testing programs, and the others support specific applications. Cylinder expansion test. A standard amount of explosive is loaded into a long hollow cylinder, usually of copper, and detonated at one end. Data is collected concerning the rate of radial expansion of the cylinder and the maximum cylinder wall velocity. This also establishes the Gurney energy or 2E. Cylinder fragmentation. A standard steel cylinder is loaded with explosive and detonated in a sawdust pit. The fragments are collected and the size distribution analyzed. Detonation pressure (Chapman-Jouguet condition). Detonation pressure data derived from measurements of shock waves transmitted into water by the detonation of cylindrical explosive charges of a standard size. Determination of critical diameter. This test establishes the minimum physical size a charge of a specific explosive must be to sustain its own detonation wave. The procedure involves the detonation of a series of charges of different diameters until difficulty in detonation wave propagation is observed. Infinite-diameter detonation velocity. Detonation velocity is dependent on loading density (c), charge diameter, and grain size. The hydrodynamic theory of detonation used in predicting explosive phenomena does not include the diameter of the charge, and therefore a detonation velocity, for an imaginary charge of infinite diameter. This procedure requires the firing of a series of charges of the same density and physical structure, but different diameters, and the extrapolation of the resulting detonation velocities to predict the detonation velocity of a charge of infinite diameter. Pressure versus scaled distance. A charge of a specific size is detonated and its pressure effects measured at a standard distance. The values obtained are compared with those for TNT. Impulse versus scaled distance. A charge of a specific size is detonated and its impulse (the area under the pressure-time curve) measured as a function of distance. The results are tabulated and expressed as TNT equivalents. Relative bubble energy (RBE). A 5 to 50 kg charge is detonated in water and piezoelectric gauges measure peak pressure, time constant, impulse, and energy. where K = the bubble expansion period for an experimental (x) or a standard (s) charge. In addition to strength, explosives display a second characteristic, which is their shattering effect or brisance (from the French meaning to "break"), which is distinguished and separate from their total work capacity. This characteristic is of practical importance in determining the effectiveness of an explosion in fragmenting shells, bomb casings, grenades, and the like. The rapidity with which an explosive reaches its peak pressure (power) is a measure of its brisance. Brisance values are primarily employed in France and Russia. The sand crush test is commonly employed to determine the relative brisance in comparison to TNT. No test is capable of directly comparing the explosive properties of two or more compounds; it is important to examine the data from several such tests (sand crush, trauzl, and so forth) in order to gauge relative brisance. True values for comparison require field experiments. Density of loading refers to the mass of an explosive per unit volume. Several methods of loading are available, including pellet loading, cast loading, and press loading, the choice being determined by the characteristics of the explosive. Dependent upon the method employed, an average density of the loaded charge can be obtained that is within 80–99% of the theoretical maximum density of the explosive. High load density can reduce sensitivity by making the mass more resistant to internal friction. However, if density is increased to the extent that individual crystals are crushed, the explosive may become more sensitive. Increased load density also permits the use of more explosive, thereby increasing the power of the warhead. It is possible to compress an explosive beyond a point of sensitivity, known also as dead-pressing, in which the material is no longer capable of being reliably initiated, if at all. Volatility is the readiness with which a substance vaporizes. Excessive volatility often results in the development of pressure within rounds of ammunition and separation of mixtures into their constituents. Volatility affects the chemical composition of the explosive such that a marked reduction in stability may occur, which results in an increase in the danger of handling. The introduction of water into an explosive is highly undesirable since it reduces the sensitivity, strength, and velocity of detonation of the explosive. Hygroscopicity is used as a measure of a material's moisture-absorbing tendencies. Moisture affects explosives adversely by acting as an inert material that absorbs heat when vaporized, and by acting as a solvent medium that can cause undesired chemical reactions. Sensitivity, strength, and velocity of detonation are reduced by inert materials that reduce the continuity of the explosive mass. When the moisture content evaporates during detonation, cooling occurs, which reduces the temperature of reaction. Stability is also affected by the presence of moisture since moisture promotes decomposition of the explosive and, in addition, causes corrosion of the explosive's metal container. Explosives considerably differ from one another as to their behavior in the presence of water. Gelatin dynamites containing nitroglycerine have a degree of water resistance. Explosives based on ammonium nitrate have little or no water resistance due to the reaction between ammonium nitrate and water, which liberates ammonia, nitrogen dioxide and hydrogen peroxide. In addition, ammonium nitrate is hygroscopic, susceptible to damp, hence the above concerns. Heavy metals, such as lead, mercury and barium from primers (observed in high volume firing ranges). Perchlorates when used in large quantities. "Green explosives" seek to reduce environment and health impacts. An example of such is the lead-free primary explosive copper(I) 5-nitrotetrazolate, an alternative to lead azide. One variety of a green explosive is CDP explosives, whose synthesis does not involve any toxic ingredients, consumes carbon dioxide while detonating and does not release any nitric oxides into the atmosphere when used. Explosive material may be incorporated in the explosive train of a device or system. An example is a pyrotechnic lead igniting a booster, which causes the main charge to detonate. The most widely used explosives are condensed liquids or solids converted to gaseous products by explosive chemical reactions and the energy released by those reactions. The gaseous products of complete reaction are typically carbon dioxide, steam, and nitrogen. Gaseous volumes computed by the ideal gas law tend to be too large at high pressures characteristic of explosions. Ultimate volume expansion may be estimated at three orders of magnitude, or one liter per gram of explosive. Explosives with an oxygen deficit will generate soot or gases like carbon monoxide and hydrogen, which may react with surrounding materials such as atmospheric oxygen. Attempts to obtain more precise volume estimates must consider the possibility of such side reactions, condensation of steam, and aqueous solubility of gases like carbon dioxide. The products of detonation in this example are magnesium oxide, carbon in various phases including diamond, and vaporized excess carbon dioxide that was not consumed by the amount of magnesium in the explosive formulation. Oxygen balance is an expression that is used to indicate the degree to which an explosive can be oxidized. If an explosive molecule contains just enough oxygen to convert all of its carbon to carbon dioxide, all of its hydrogen to water, and all of its metal to metal oxide with no excess, the molecule is said to have a zero oxygen balance. The molecule is said to have a positive oxygen balance if it contains more oxygen than is needed and a negative oxygen balance if it contains less oxygen than is needed. The sensitivity, strength, and brisance of an explosive are all somewhat dependent upon oxygen balance and tend to approach their maxima as oxygen balance approaches zero. Oxygen balance applies to traditional explosives mechanics with the assumption that carbon is oxidized to carbon monoxide and carbon dioxide during detonation. In what seems like a paradox to an explosives expert, Cold Detonation Physics uses carbon in its most highly oxidized state as the source of oxygen in the form of carbon dioxide. Oxygen balance, therefore, either does not apply to a CDP formulation or must be calculated without including the carbon in the carbon dioxide. A chemical explosive may consist of either a chemically pure compound, such as nitroglycerin, or a mixture of a fuel and an oxidizer, such as black powder or grain dust and air. Some chemical compounds are unstable in that, when shocked, they react, possibly to the point of detonation. Each molecule of the compound dissociates into two or more new molecules (generally gases) with the release of energy. Nitroglycerin: A highly unstable and sensitive liquid. Acetone peroxide: A very unstable white organic peroxide. TNT: Yellow insensitive crystals that can be melted and cast without detonation. Nitrocellulose: A nitrated polymer which can be a high or low explosive depending on nitration level and conditions. RDX, PETN, HMX: Very powerful explosives which can be used pure or in plastic explosives. C-4 (or Composition C-4): An RDX plastic explosive plasticized to be adhesive and malleable. The above compositions may describe most of the explosive material, but a practical explosive will often include small percentages of other substances. For example, dynamite is a mixture of highly sensitive nitroglycerin with sawdust, powdered silica, or most commonly diatomaceous earth, which act as stabilizers. Plastics and polymers may be added to bind powders of explosive compounds; waxes may be incorporated to make them safer to handle; aluminium powder may be introduced to increase total energy and blast effects. Explosive compounds are also often "alloyed": HMX or RDX powders may be mixed (typically by melt-casting) with TNT to form Octol or Cyclotol. An oxidizer is a pure substance (molecule) that in a chemical reaction can contribute some atoms of one or more oxidizing elements, in which the fuel component of the explosive burns. On the simplest level, the oxidizer may itself be an oxidizing element, such as gaseous or liquid oxygen. Flash powder: Fine metal powder (usually aluminium or magnesium) and a strong oxidizer (e.g. potassium chlorate or perchlorate). Ammonal: Ammonium nitrate and aluminium powder. Armstrong's mixture: Potassium chlorate and red phosphorus. This is a very sensitive mixture. It is a primary high explosive in which sulfur is substituted for some or all of the phosphorus to slightly decrease sensitivity. Cold Detonation Physics: Combinations of carbon dioxide in the form of dry ice (an untraditional oxygen source), and powdered reducing agents (fuel) like magnesium and aluminum. 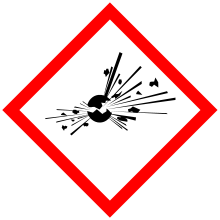 Sprengel explosives: A very general class incorporating any strong oxidizer and highly reactive fuel, although in practice the name was most commonly applied to mixtures of chlorates and nitroaromatics. ANFO: Ammonium nitrate and fuel oil. Cheddites: Chlorates or perchlorates and oil. Oxyliquits: Mixtures of organic materials and liquid oxygen. Panclastites: Mixtures of organic materials and dinitrogen tetroxide. The availability and cost of explosives are determined by the availability of the raw materials and the cost, complexity, and safety of the manufacturing operations. A primary explosive is an explosive that is extremely sensitive to stimuli such as impact, friction, heat, static electricity, or electromagnetic radiation. Some primary explosives are also known as contact explosives. A relatively small amount of energy is required for initiation. As a very general rule, primary explosives are considered to be those compounds that are more sensitive than PETN. As a practical measure, primary explosives are sufficiently sensitive that they can be reliably initiated with a blow from a hammer; however, PETN can also usually be initiated in this manner, so this is only a very broad guideline. Additionally, several compounds, such as nitrogen triiodide, are so sensitive that they cannot even be handled without detonating. Nitrogen triiodide is so sensitive that it can be reliably detonated by exposure to alpha radiation; it is the only explosive for which this is true. Primary explosives are often used in detonators or to trigger larger charges of less sensitive secondary explosives. 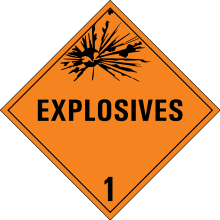 Primary explosives are commonly used in blasting caps and percussion caps to translate a physical shock signal. In other situations, different signals such as electrical/physical shock, or, in the case of laser detonation systems, light, are used to initiate an action, i.e., an explosion. A small quantity, usually milligrams, is sufficient to initiate a larger charge of explosive that is usually safer to handle. A secondary explosive is less sensitive than a primary explosive and requires substantially more energy to be initiated. Because they are less sensitive, they are usable in a wider variety of applications and are safer to handle and store. Secondary explosives are used in larger quantities in an explosive train and are usually initiated by a smaller quantity of a primary explosive. Examples of secondary explosives include TNT and RDX. Tertiary explosives, also called blasting agents, are so insensitive to shock that they cannot be reliably detonated by practical quantities of primary explosive, and instead require an intermediate explosive booster of secondary explosive. These are often used for safety and the typically lower costs of material and handling. The largest consumers are large-scale mining and construction operations. ANFO is an example of a tertiary explosive. Low explosives are compounds where the rate of decomposition proceeds through the material at less than the speed of sound. The decomposition is propagated by a flame front (deflagration) which travels much more slowly through the explosive material than a shock wave of a high explosive. Under normal conditions, low explosives undergo deflagration at rates that vary from a few centimetres per second to approximately 400 metres per second. It is possible for them to deflagrate very quickly, producing an effect similar to a detonation. This can happen under higher pressure or temperature, which usually occurs when ignited in a confined space. A low explosive is usually a mixture of a combustible substance and an oxidant that decomposes rapidly (deflagration); however, they burn more slowly than a high explosive, which has an extremely fast burn rate. Low explosives are normally employed as propellants. Included in this group are petroleum products such as propane and gasoline, gunpowder (both black and smokeless), and light pyrotechnics, such as flares and fireworks, but can replace high explosives in certain applications, see gas pressure blasting. High explosives (HE) are explosive materials that detonate, meaning that the explosive shock front passes through the material at a supersonic speed. High explosives detonate with explosive velocity ranging from 3 to 9 km/s. For instance, TNT has a detonation (burn) rate of approximately 5.8 km/s (19,000 feet per second), Detonating cord of 6.7 km/s (22,000 feet per second), and C-4 about 8.5 km/s (29,000 feet per second). They are normally employed in mining, demolition, and military applications. They can be divided into two explosives classes differentiated by sensitivity: primary explosive and secondary explosive. The term high explosive is in contrast with the term low explosive, which explodes (deflagrates) at a lower rate. Priming compositions are primary explosives mixed with other compositions to control (lessen) the sensitivity of the mixture to the desired property. For example, primary explosives are so sensitive that they need to be stored and shipped in a wet state to prevent accidental initiation. Shipping labels and tags may include both United Nations and national markings. United Nations markings include numbered Hazard Class and Division (HC/D) codes and alphabetic Compatibility Group codes. Though the two are related, they are separate and distinct. Any Compatibility Group designator can be assigned to any Hazard Class and Division. An example of this hybrid marking would be a consumer firework, which is labeled as 1.4G or 1.4S. Examples of national markings would include United States Department of Transportation (U.S. DOT) codes. The Hazard Class and Division (HC/D) is a numeric designator within a hazard class indicating the character, predominance of associated hazards, and potential for causing personnel casualties and property damage. It is an internationally accepted system that communicates using the minimum amount of markings the primary hazard associated with a substance. 1.1 Mass Detonation Hazard. With HC/D 1.1, it is expected that if one item in a container or pallet inadvertently detonates, the explosion will sympathetically detonate the surrounding items. The explosion could propagate to all or the majority of the items stored together, causing a mass detonation. There will also be fragments from the item’s casing and/or structures in the blast area. 1.2 Non-mass explosion, fragment-producing. HC/D 1.2 is further divided into three subdivisions, HC/D 1.2.1, 1.2.2 and 1.2.3, to account for the magnitude of the effects of an explosion. 1.3 Mass fire, minor blast or fragment hazard. Propellants and many pyrotechnic items fall into this category. If one item in a package or stack initiates, it will usually propagate to the other items, creating a mass fire. 1.4 Moderate fire, no blast or fragment. HC/D 1.4 items are listed in the table as explosives with no significant hazard. Most small arms and some pyrotechnic items fall into this category. If the energetic material in these items inadvertently initiates, most of the energy and fragments will be contained within the storage structure or the item containers themselves. 1.5 mass detonation hazard, very insensitive. 1.6 detonation hazard without mass detonation hazard, extremely insensitive. To see an entire UNO Table, browse Paragraphs 3-8 and 3-9 of NAVSEA OP 5, Vol. 1, Chapter 3. Compatibility Group codes are used to indicate storage compatibility for HC/D Class 1 (explosive) materials. Letters are used to designate 13 compatibility groups as follows. A: Primary explosive substance (1.1A). B: An article containing a primary explosive substance and not containing two or more effective protective features. Some articles, such as detonator assemblies for blasting and primers, cap-type, are included. (1.1B, 1.2B, 1.4B). 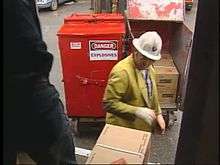 C: Propellant explosive substance or other deflagrating explosive substance or article containing such explosive substance (1.1C, 1.2C, 1.3C, 1.4C). These are bulk propellants, propelling charges, and devices containing propellants with or without means of ignition. Examples include single-based propellant, double-based propellant, triple-based propellant, and composite propellants, solid propellant rocket motors and ammunition with inert projectiles. D: Secondary detonating explosive substance or black powder or article containing a secondary detonating explosive substance, in each case without means of initiation and without a propelling charge, or article containing a primary explosive substance and containing two or more effective protective features. (1.1D, 1.2D, 1.4D, 1.5D). E: Article containing a secondary detonating explosive substance without means of initiation, with a propelling charge (other than one containing flammable liquid, gel or hypergolic liquid) (1.1E, 1.2E, 1.4E). F containing a secondary detonating explosive substance with its means of initiation, with a propelling charge (other than one containing flammable liquid, gel or hypergolic liquid) or without a propelling charge (1.1F, 1.2F, 1.3F, 1.4F). G: Pyrotechnic substance or article containing a pyrotechnic substance, or article containing both an explosive substance and an illuminating, incendiary, tear-producing or smoke-producing substance (other than a water-activated article or one containing white phosphorus, phosphide or flammable liquid or gel or hypergolic liquid) (1.1G, 1.2G, 1.3G, 1.4G). Examples include Flares, signals, incendiary or illuminating ammunition and other smoke and tear producing devices. H: Article containing both an explosive substance and white phosphorus (1.2H, 1.3H). These articles will spontaneously combust when exposed to the atmosphere. J: Article containing both an explosive substance and flammable liquid or gel (1.1J, 1.2J, 1.3J). This excludes liquids or gels which are spontaneously flammable when exposed to water or the atmosphere, which belong in group H. Examples include liquid or gel filled incendiary ammunition, fuel-air explosive (FAE) devices, and flammable liquid fueled missiles. L Explosive substance or article containing an explosive substance and presenting a special risk (e.g., due to water-activation or presence of hypergolic liquids, phosphides, or pyrophoric substances) needing isolation of each type (1.1L, 1.2L, 1.3L). Damaged or suspect ammunition of any group belongs in this group. N: Articles containing only extremely insensitive detonating substances (1.6N). S: Substance or article so packed or designed that any hazardous effects arising from accidental functioning are limited to the extent that they do not significantly hinder or prohibit fire fighting or other emergency response efforts in the immediate vicinity of the package (1.4S). The legality of possessing or using explosives varies by jurisdiction. Various countries around the world has enacted explosives law and require licenses to manufacture, distribute, store, use, possess explosives or ingredients. In the Netherlands, the civil and commercial use of explosives is covered under the Wet explosieven voor civiel gebruik (explosives for civil use Act), in accordance with EU directive nr. 93/15/EEG (Dutch). The illegal use of explosives is covered under the Wet Wapens en Munitie (Weapons and Munition Act) (Dutch). During World War I, numerous laws were created to regulate war related industries and increase security within the United States. In 1917, the 65th United States Congress created many laws, including the Espionage Act of 1917 and Explosives Act of 1917. The Explosives Act of 1917 (session 1, chapter 83, 40 Stat. 385) was signed on 6 October 1917 and went into effect on 16 November 1917. The legal summary is "An Act to prohibit the manufacture, distribution, storage, use, and possession in time of war of explosives, providing regulations for the safe manufacture, distribution, storage, use, and possession of the same, and for other purposes". This was the first federal regulation of licensing explosives purchases. The act was deactivated after World War I ended. After the United States entered World War II, the Explosives Act of 1917 was reactivated. In 1947, the act was deactivated by President Truman. The Organized Crime Control Act of 1970 (Pub.L. 91–452) transferred many explosives regulations to the Bureau of Alcohol, Tobacco and Firearms (ATF) of the Department of Treasury. The bill became effective in 1971. "Importation, Manufacture, Distribution and Storage of Explosive Materials" (18 U.S.C. Chapter 40). "Commerce in Explosives" (27 C.F.R. Chapter II, Part 555). New York. Health and safety regulations restrict the quantity of black powder a person may store and transport. ↑ W. W. Porterfield, Inorganic Chemistry: A Unified Approach, 2nd ed., Academic Press, Inc., San Diego, pp. 479-480 (1993). ↑ Krehl, Peter O. K. (2008-09-24). History of Shock Waves, Explosions and Impact: A Chronological and Biographical Reference. Springer Science & Business Media. p. 106. ISBN 9783540304210. ↑ Krehl, Peter O. K. (2008). History of Shock Waves, Explosions and Impact: A Chronological and Biographical Reference. Springer Science & Business Media. p. 1970. ISBN 9783540304210. ↑ "Green explosive is a friend of the Earth". New Scientist. 27 March 2006. Retrieved 12 November 2014. 1 2 Zel'dovich, Yakov; Kompaneets, A.S. (1960). Theory of Detonation. Academic Press. pp. 208–210. ↑ Hougen, Olaf A.; Watson, Kenneth; Ragatz, Roland (1954). Chemical Process Principles. John Wiley & Sons. pp. 66–67. ↑ Anderson, H.V. (1955). Chemical Calculations. McGraw-Hill. p. 206. 1 2 3 Office, Government of Canada, Industry Canada, Office of the Deputy Minister, Canadian Intellectual Property. "Canadian Patent Database / Base de données sur les brevets canadiens". brevets-patents.ic.gc.ca. Retrieved 2016-10-17. ↑ Meyer, Rudolf; Josef Köhler; Axel Homburg (2007). Explosives, 6th Ed. Wiley VCH. ISBN 3-527-31656-6. ↑ Sam Barros. "PowerLabs Lead Picrate Synthesis". ↑ Cooper, Paul W. (1996). "Chapter 4: Use forms of explosives". Explosives Engineering. Wiley-VCH. pp. 51–66. ISBN 0-471-18636-8. ↑ Table 12-4.—United Nations Organization Hazard Classes. Tpub.com. Retrieved on 2010-02-11. ↑ "wetten.nl - Wet- en regelgeving - Wet explosieven voor civiel gebruik - BWBR0006803". ↑ "wetten.nl - Wet- en regelgeving - Wet wapens en munitie - BWBR0008804". ↑ "Federal Explosives Laws" (PDF). U.S. Department of Justice, Bureau of Alcohol, Tobacco, Firearms and Explosives. Retrieved 1 February 2016. ↑ "Document - Folio Infobase". Explosives and Demolitions FM 5-250; U.S. Department of the Army; 274 pages; 1992. Military Explosives TM 9-1300-214; U.S. Department of the Army; 355 pages; 1984. Explosives and Blasting Procedures Manual; U.S. Department of Interior; 128 pages; 1982. Safety and Performance Tests for Qualification of Explosives; Commander, Naval Ordnance Systems Command; NAVORD OD 44811. Washington, D.C.: GPO, 1972. Weapons Systems Fundamentals; Commander, Naval Ordnance Systems Command. NAVORD OP 3000, vol. 2, 1st rev. Washington, D.C.: GPO, 1971. 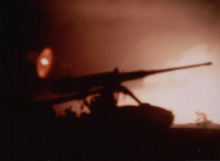 Elements of Armament Engineering - Part One; Army Research Office. Washington, D.C.: U.S. Army Materiel Command, 1964. Hazardous Materials Transportation Plaecards; USDOT. Safety in the Handling and Use of Explosives SLP 17; Institute of Makers of Explosives; 66 pages; 1932 / 1935 / 1940. History of the Explosives Industry in America; Institute of Makers of Explosives; 37 pages; 1927. Clearing Land of Stumps; Institute of Makers of Explosives; 92 pages; 1917. The Use of Explosives for Agricultural and Other Purposes; Institute of Makers of Explosives; 190 pages; 1917. The Use of Explosives in making Ditches; Institute of Makers of Explosives; 80 pages; 1917. Farmers' Hand Book of Explosives; duPont; 113 page; 1920. A Short Account of Explosives; Arthur Marshall; 119 pages; 1917. Historical Papers on Modern Explosives; George MacDonald; 216 pages; 1912. The Rise and Progress of the British Explosives Industry; International Congress of Pure and Applied Chemistry; 450 pages; 1909. Explosives and their Power; M. Berthelot; 592 pages; 1892.